Actually bonobos, previously known as pygmy chimpanzees. A group of bonobo apes living in the Salonga National Park, may have mastered the basic practice of creating and using fire. This particular group of almost three hundred specimens from this rare and extremely intelligent race of great apes, have been under close surveillance by a team of primatologist for the last three years, and seem to have recently developed a primitive fire building technique using rocks and twigs. 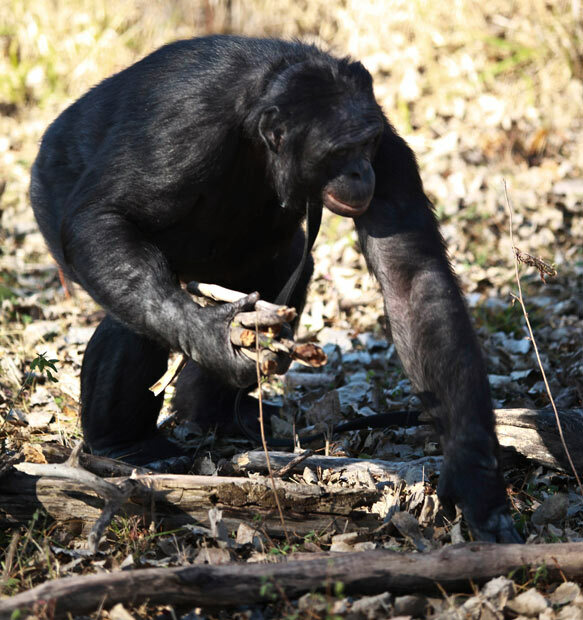 Bonobos are known for their high intelligence and use of multiple simple tools. This particular group has learned to produce and maintain a fire, using it to scare away predators and to cook some foods. UPDATE: I am having a hard time confirming this article–no other sources. Apparently a bonobo in captivity has been taught to build a fire (video here), but I can find no other sources of wild bonobos developing fire-building independently. This entry was posted in Uncategorized and tagged Bonobo, Fire. Bookmark the permalink.